What Does Jesus Christ's Second Coming With Great Glory Mean? What Does Jesus Christ’s Second Coming With Great Glory Mean? At this moment, we suddenly saw the light, and felt that Brother Chen’s fellowship regarding the practical meaning of the Lord’s coming back with “great glory” in the last day was really full of enlightenment and well-founded. This also allowed us to have a correct goal and direction in welcoming the return of the Lord. Thank God for His guidance! At this point, Sister Li said with remorse, “Alas … It seems that we had a muddled belief in the past. We wait for the Lord’s return by our imaginations and according to the superficial meaning of the Bible. If we keep waiting bitterly and do nothing, we will surely be foolish virgins and lose the salvation of the Lord. Yesterday I heard several brothers say the Lord has come back, and done the work of judging and purifying man through God’s word—that seems to be true. We shall arrange a time and invite them to fellowship with brothers and sisters, so as to investigate whether or not the Lord has returned and done a stage of new work.” I nodded approvingly. While Sister Zhao and Sister Wang turned back angrily, we several co-workers all agreed to seek and investigate, since the Lord Jesus said, “Blessed are the poor in spirit: for theirs is the kingdom of heaven” (Mat 5:3). Will Jesus Come Back in the Spiritual Body or in the Flesh When Taking His Believers? By Shi Li Nowadays, the last days have arrived. 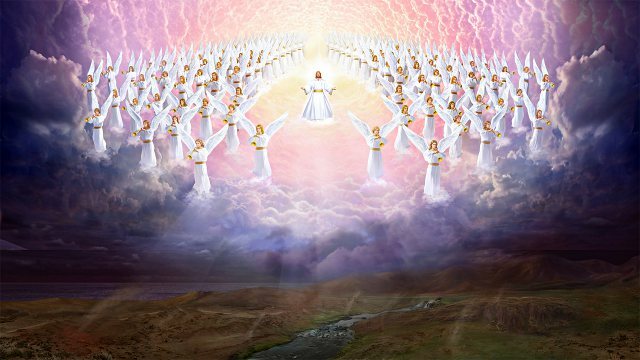 I believe that the brothers and sisters from different denominations and sects are all paying close attention to the return of the Lord Jesus. The Lord once promised us: “I go to prepare a place for you. And if I go..
By Linlin At the co-worker meeting many different opinions were voiced. Wenwen: Recently, many of the brothers and sisters have been exploring a very contentious issue: In the year 2000 the pastors and elders said that the Lord’s return was imminent, but now it’s 2018 and we haven’t seen it..
A truth you must know to welcome Jesus’ second coming: What do “the Son of man comes” and “the coming of the Son of man” prophesied many times in Scripture refer to?